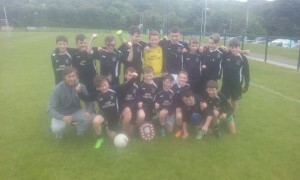 Kilmacrennan NS won their first Cumann na mBunscol title in rounders in 2017. Congratulations are due to Ms Ferry and her team on an excellent performance in the County Finals, which were held in Burt. The achievement capped off a fine week which saw the school capture their third cup. Congratulations to our school soccer team who won the Letterkenny Primary School’s Soccer Cup in June, overcoming a determined and skillful Glenswilly outfit in a free flowing final. 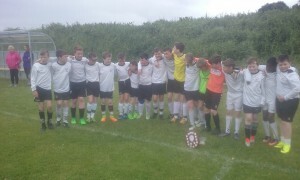 Kilmacrennan played an attractive brand of football and were worthy winners in the end. Congratulations to Master O Donnell and his team on a magnificent achievement. Congratulations are due to the school Gaelic team who captured the Cumann na mBunscol GAA title in style by overcoming Muff, the Inishowen champions in Glenswilly. Muff settled best and opened with four unanswered points. Kilmacrennan responded with a couple of goals and points, leaving a two point margin in our favour at half time. Aided by the wind, Kilmac setteld well in the second half but were made to work hard by a determined Muff team. Kilmac though had enough armour in their tanks to complete the task at hand and were worthy winners of the coveted title. Congratulations to Master Gallagher and his team. Congrats are due to the school debating team who have qualified for the finals of the Ulster/ Connacht/ Midland counties Concern Debating Finals. The school qualified for the final, having defeated the County Sligo champions in an event at the Great Northern Hotel in Bundoran on Tuesday, 13th June 2017. Kilmacrennan NS successfully carried the motion that ‘Social Media is a bad influence on children’. Busy times on sporting front! Kilmacrennan are competing on several sporting fronts as term-end approaches. 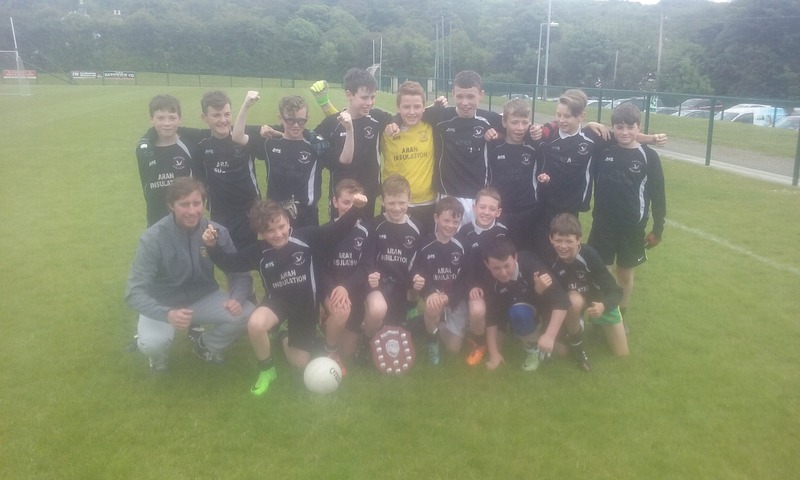 The boys gaelic team will compete in the Cumann na mBunscol County Final on Wed 14th June in Glenswilly at 11.30, while our soccer team will play in the final of the Letterkenny Soccer Cup in Goose Green the following day. The school Rounders team will play in the Cumann na mBunscol County Final on Friday, 16th June in Convoy.